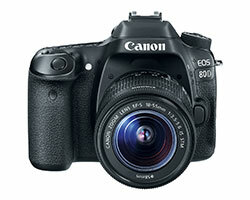 Canon has released a few new camera models and the EOS 80D replaces the popular 70D. Thankfully, Canon has gone back to multiple Custom modes. 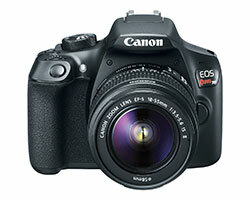 This allows us to pre-program the camera: C1 for portraits and C2 for closeup views. Canon has updated their base model (from the T5) with more LCD screen resolution (920,000 pixels vs 460,000 in the T5) and a new Digic 4+ processor. Not much else has changed, but everyone likes a sharper LCD screen! 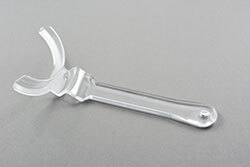 Our new Occlusal Lip Retractors make occlusal mirror views much easier. They are designed to comfortably pull the opposite lip out and away from the centrals as you take occlusal mirror shots. Available in adult and pedo sizes. Newsletter Exclusive! Free Shipping for the FogFree Mirror Warmer! For our subscribers, receive free UPS Ground shipping (continental U.S. only) when you order the PhotoMed FogFree Mirror Warmer. The FogFree Mirror Warmer eliminates mirror fogging by warming the mirrors to body temperature. 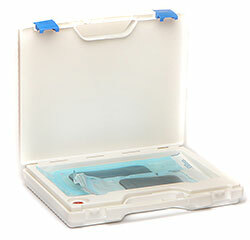 Mirrors can be warmed in autoclave pouches ensuring they stay sterile until needed. Click to order the FogFree Mirror Warmer. In the shopping cart, enter FogFree2016 in the coupon code box and your order will ship for free. As an extra benefit, if you order other items along with the mirror warmer, they all ship for free! Want to see the latest in dental photographic equipment? Do you have questions about your PhotoMed camera? Need mirrors and retractors? Then come see us at these upcoming dental meetings. Are there subjects/topics that you would like to see covered in this newsletter? Let us know! You're receiving this newsletter because you subscribed at photomed.net.